Will he vote for it or heed conservative groups who say spending is out of control? UPDATE: DeSantis voted for the budget. 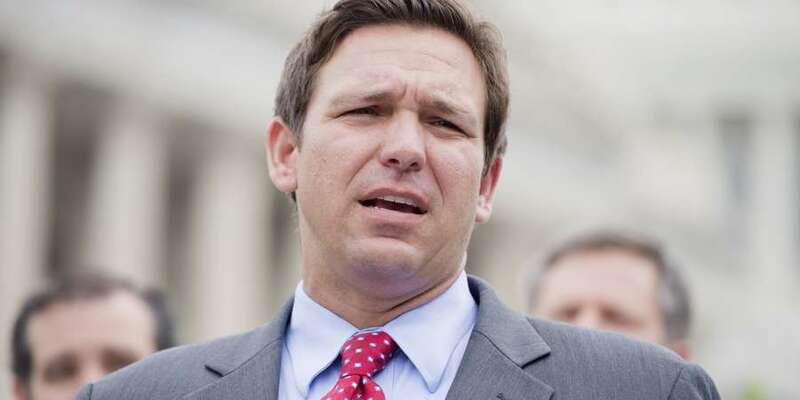 WASHINGTON – If he weren't running for governor, Rep. Ron DeSantis could be counted on to vote against the sprawling, two-year budget deal before Congress. Conservative groups — including the Freedom Caucus DeSantis helped found and the Club for Growth that was key to him becoming a congressman — have mounted opposition to the deal. "The House Freedom Caucus opposes the deal to raise spending caps on discretionary spending by nearly $300 billion over two years," read a statement. "We support funding for our military, but growing the size of government by 13 percent adds to the swamp instead of draining it. This is not what the American people sent us here to do." But DeSantis is running for governor and the deal carries numerous benefits for Florida, not least of which is billions in disaster relief. Imagine if DeSantis were to vote against help for the citrus industry. It would hand Ag Commissioner Adam Putnam a sharp attack point in the GOP primary. Then again, voting for the deal would raise questions of DeSantis' fealty to the conservative cause. His office did not respond to a question Thursday on how he'd vote. DeSantis is not the only Florida member facing a difficult choice. Rep. Ted Yoho, R-Gainesville, issued a note to supporters today asking for their feedback. “The final bill text was released this morning at 6:31 am and is 652 pages in length. The bill will increase federal spending over $500 billion over the next two years. Currently, our federal debt is over $21 trillion and it would suspend the debt limit until 2019,” Yoho wrote. “The Club for Growth opposes the Schumer-McConnell budget deal and urges all members of Congress to vote NO on it. A vote is expected soon in both chambers. The vote will be included in the Club’s 2018 congressional scorecard. “In 2011, when Congress passed The Budget Control Act (BCA), Senate GOP Leader Mitch McConnell praised the deal, proclaiming that the “big government freight train” was slowing down. Well, now that the BCA spending caps are busted under this deal yet again, it’s clear that McConnell and the GOP establishment want to speed up the big government freight train with the help of big spending liberals on the other side of the aisle. The budget agreement provides our military with long-overdue resources and certainty. Years of operating under arbitrary spending limitations and a seemingly endless flurry of continuing resolutions have taken their toll on readiness, which hurts our troops and harms our national security. The Trump-Mattis military restoration authorized by this agreement will be the most significant fortification of the military since the Reagan defense buildup that helped end the Cold War. The agreement also provides relief for hurricane-affected communities in Texas, Florida and Puerto Rico. From mitigating crop losses in Florida to restoring power in Puerto Rico, these are priorities that need immediate attention. Military funding and disaster relief have previously passed the House of Representatives but have languished in the Senate. Indeed, the Senate has proven institutionally incapable of passing annual appropriation bills for the military. Apparently, the only way the Senate will meet key national needs is to demand a ransom in the form of more profligate spending in other areas. This provides further proof that structural reforms, such as a balanced budget amendment, are needed to discipline Congress and protect taxpayers. While meeting the urgent needs of our military and disaster-affected communities outweighs the agreement’s fiscal shortcomings in this instance, it is unfortunate that such fiscal shortcomings have become a staple of these bipartisan deals.